What is the Moss in Prisons project? To investigate methods to sustainably grow mosses for the horticultural trade, Research Ambassadors enlisted the help of inmates at the Cedar Creek Correctional Center to grow mosses. One of the characteristics of plants is their ability to inspire renewal. Prisoners working with plants are given opportunities for both an emotionally rehabilitating experience and to learn about the process of science. 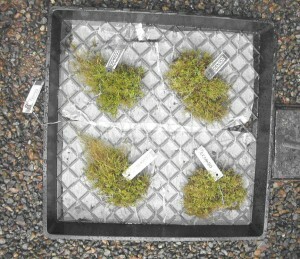 Prisoners monitored the growth rates of four species of native mosses. Collection of mosses and other “secondary forest products” from the forests of Washington is a growing industry for the horticultural trade. Collecting mosses from branches of trees in old-growth forests, is not sustainable. However, collecting continues, both legally and illegally. 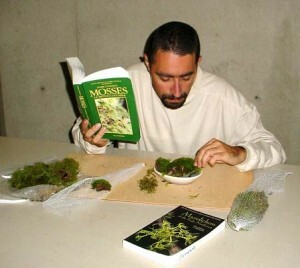 Two goals of the project were to provide emotional benefits to incarcerated persons and to provide an alternative to the harvest of wild moss populations. 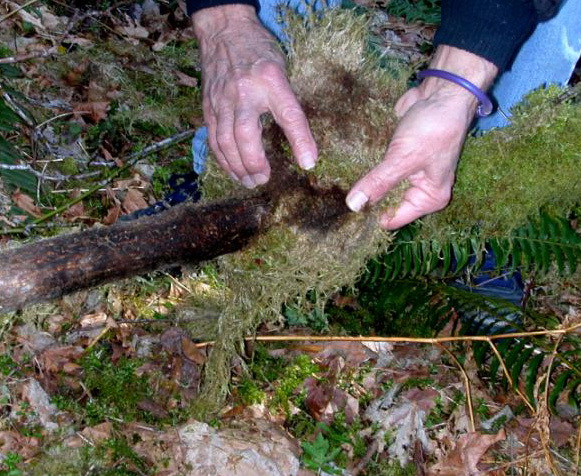 Original moss samples were collected with a permit from the Olympic National Forest in Washington State. With the prisoners, researchers developed methods to grow mosses, including growing the wild-collected gametophytes in hanging mesh bags and in plastic flats with varying amounts of shade and water. Growth activity is documented by oven-drying and weighing subsamples on a monthly basis. Inmates also make observations and notes for participating researchers. The Moss in Prisons project is enthusiastically supported by the prison administration. Inmates eagerly participate in the project. 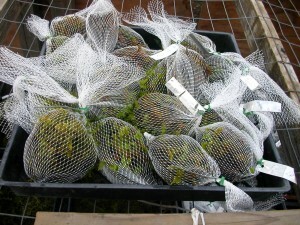 The goal to provide sustainably grown mosses suggests promise. The project has led to the implementation of a lecture series at the prison called “Sustainable Futures – Sustainable Lives.” Visiting lecturers deliver talks about an aspect of sustainability or ecology. Lectures are attended jointly by prison staff and inmates. Further, this project provided the momentum which has evolved into an ongoing partnership between the Evergreen State College and Washington Department of Corrections, the Sustainable Prisons Project. The mission of the Sustainable Prisons Project is to reduce the environmental, economic and human costs of prisons by training offenders and correctional staff in sustainable practices. Equally important, we bring science into prisons by helping scientists conduct ecological research and conserve biodiversity through projects with offenders, college students and community partners. The Moss in Prisons project has led to the Sustainable Prisons Project, which includes education and outreach in four prisons in Washington state. This Department of Corrections video highlights the projects work.